‘Rituals Of Black Magic’ is the fourth full-length release by Horror Rock sensation Deathless Legacy and the first concept album in their career. The album describes ancient black magic rituals in detail, with dosages, ingredients, processes and spells to cast. The occult grimoire consists of more than ten rituals, recovered from tomes hidden on the dusty shelves of the secret Vatican archives, snitched by the six monsters through the back door. Doing those rituals at home is not recommended and solely at your own risk! From the heart of Italy, horror metallers Deathless Legacy combine hard symphonic solutions and fickle intense vocals to enhance occult, horror dark themes. 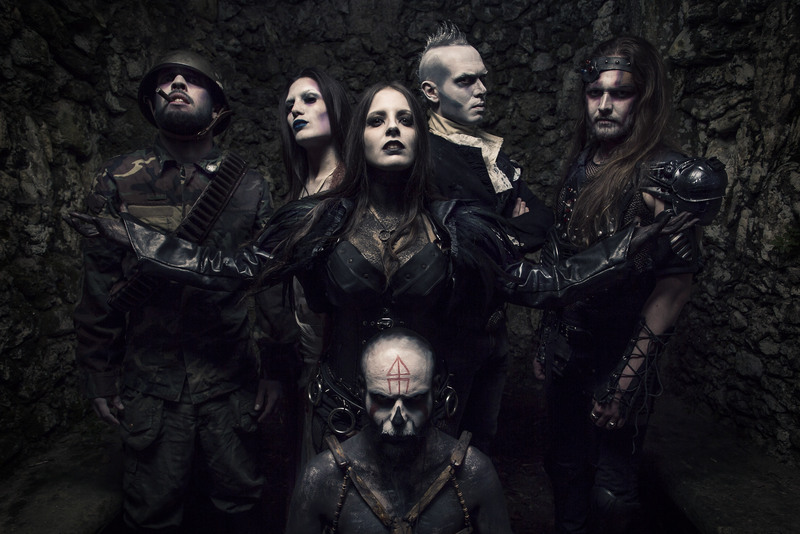 Formed in 2006 by singer Steva (Eleonora Vaiana) and drummer Frater Orion (Andrea Falaschi), the band have always focused on offering spectacular shows, introducing theatrical performances filled with pathos. In 2014 Alessio Lucatti (Vision Divine, Angra, Etherna) joined the band and in 2015 Deathless Legacy won the Italian chapter of the Wacken Metal Battle, bringing their show to Wacken Open Air. Deathless Legacy released four albums so far: ‘Rise From The Grave’ (2014), ‘The Gathering’ (2016) and ‘Dance With Devils’ (2017). ‘Rituals Of Black Magic’ (2018).